Apparently there are rumors swirling that Amy Adams will be cast in the role of "Ivy" in August: Osage County. I've held off on posting about this for a couple days because I am unable to find any credible info for it online. Right now, it's only a rumor. If she is indeed cast, I'm not sure I'll be pleased. Yes, Adams is a great actress, but I feel we've seen enough of her recently in Meryl movies. However, she's pretty good in mousy roles, and there's a lot of that as Ivy. Adams would make it 7-for-7 Oscar nominees in the cast. But we'll have to see if there is any legitimate news on her involvement. Check out where we stand as of now. I've decided to remove Andrea Riseborough as a possibility as "Karen" and list Juliette Lewis and Abigail Breslin as "confirmed," as I haven't seen anything to suggest otherwise. These clips have been out for several days, but they include some interesting insights from our stars of the upcoming film Hope Springs. There hasn't been a ton of coverage or press for this film, but it's not a huge awards vehicle or expected to be an enormous box office draw. Or maybe there has been and I've just been too obsessed with looking for news on August: Osage County? Yeah, that's probably more likely. Anyway, check out these clips. I'm not sure why there can't just be one single clip, but I was unable to find it. I dig the Tolstoy quote. Enjoy. Earlier this year Meryl was rumored to be a possibility for a stage production of Into the Woods at the Delacorte Theater in New York this summer. Donna Murphy ended up in the role as The Witch instead of Meryl. Around the same time, I learned that Disney was planning on producing a film version of the 80's musical with Rob Marshall directing. Well, three days ago there was an article suggesting that Meryl is indeed attached to star in the film. Usually when legit news comes out on possible film participation we find more than one article about it, so I'm taking this speculation pretty lightly. Of course I would be thrilled if she ended up being officially cast, but I imagine filming wouldn't start until at least 2013 anyway. We'll definitely be playing a waiting game on this one to get confirmation. I don't mind. We waited over a year to get confirmation of her participation in August: Osage County, and look how well that turned out! Breslin latest rumored addition to "August: Osage County"
Deadline is reporting that 16 year-old Abigail Breslin has been cast as Jean in Meryl's upcoming film August: Osage County. Although I have a hard time picturing Breslin as anything but her pudgy character in Little Miss Sunshine, I'm sure this is a great addition. I saw a couple of pictures of her online and she's looking quite grown up, so I don't think it'll be too tough to convince me she's someone other than Olive Hoover. I don't think I've ever posted three days in a row, but this will be short. Yesterday I finished reading August: Osage County (the play script) and it's even better than I remember it being on stage. I know it won't happen because the play is like three and a half hours long, but I don't want them to cut any of the dialogue. Well at least not any of Violet's dialogue. It's so good! Since I've been obsessing about August, I've sort of been neglecting news for Meryl's new film Hope Springs, which opens in just three weeks. Check out Simply Streep for a brief interview with Meryl and Tommy Lee Jones regarding the new film. It just so happens that the film opens the day before my birthday. No big deal. p.s.--This was interesting yesterday. I'm not holding my breath. Ok, this is sort of a lame update but I like to keep my finger on the pulse of all things related to Meryl, particularly when it comes to film participation. Evidently there is going to be a remake of the 1962 film Whatever Happened to Baby Jane? I''ve never seen it, but know that Bette Davis and Joan Crawford starred in the original version. They were considered ancient by Hollywood standards at that time (in their 50's), and despite the weird thriller genre, it kind of revitalized their respective careers, particularly Davis who was nominated for an Oscar. So what the hell does this have to do with Meryl?. Well, every article I've seen of it mentions Meryl as someone most people think would be great in the remake. Meryl would be amazing in anything, but do we really want to see her in this film? First of all, it's a remake. I imagine the revitalized script would have to be pretty damn good for Meryl to show interest. Secondly, the original is such a cult classic that it just seems like a bad idea to mess with it, particularly with reputable actors. Thirdly, the new director, Walter Hill is mostly known for, as Wikipedia puts it, "male-dominated actions films." And the man is quoted as saying, "every film I've done has been a western." Hmm. 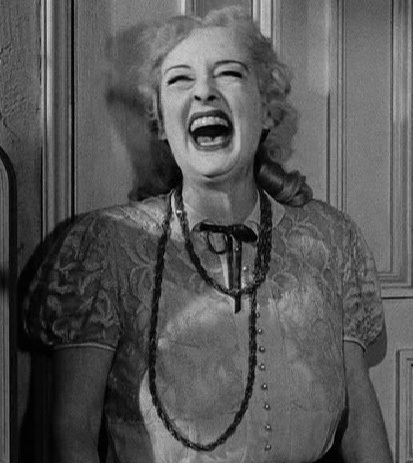 Although Meryl might be on the top of any director's list, I picture this staying outside her radar. I guess we never know, though. She and Glenn Close do sort of look like sisters, so if this thing turned out to be an amazing script and got a lot of attention, I guess it's not impossible to hook a couple of big-named actresses. I predict the chances of Meryl's participation to be less than 5%. I bet she'd have fun though. 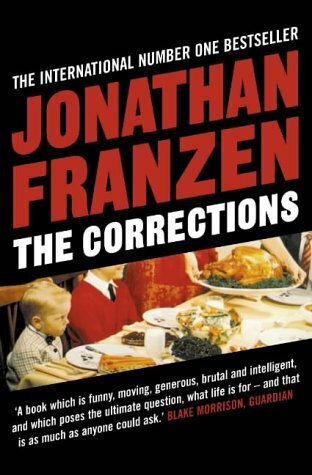 Meryl should be in feature film adaptation of "The Corrections"
I recently read Jonathan Franzen's novel The Corrections. You remember it. It's that one Franzen didn't want Oprah to include in her book club because he thought Americans were too dumb for it. Prior to starting the book, I had read the back cover and done a little research to see if there had ever been or were any plans for adaptations of it. I wasn't surprised to find a Wikipedia article which included plans dating as far back as 2001 to adapt the book into a film. As you can read, the rights to the book were purchased by Paramount, but not until late 2011 did news come that HBO was going to air it as a sort of mini-series in 2012. Dianne Wiest was cast as Enid, Chris Cooper as Alfred, Ewan McGregor as Chip, and Maggie Gyllenhaal as Denise. As far as I know, a pilot was filmed, but HBO decided to pull the plug and not air the series. Sooooo...I'd like to be the first person to suggest that Meryl should be cast as Enid in a film version. Obviously HBO didn't think it was going to work as a series (I'm sure there are several factors), and studios were initially interested in it as a film. Why not retry this great story as a movie? If you've read the book, you know it's rather long if one considers any kind of possible screen adaptation. But I'm sure good writers could work out a way to meld the juiciest sections into one cohesive, coherent story. I would've loved to see how HBO was going to tackle it, but hopefully they'll release it at some point. Or perhaps someone will upload a pirated version on the web. Dianne Wiest is actually a great casting choice. However, it already didn't work once, and if it's a few years before they try this again, maybe Meryl's our Enid. Keep in mind, I've already decided that Meryl will be winning her 4th Oscar in 2014 for August: Osage County. If she's going to break Katharine Hepburn's record of four (a must), maybe The Corrections could be the film to do it ten years or so down the road?! Certainly there are going to be multiple opportunities in the next several years and a nomination for August isn't even a sure thing. But hey, can't a guy dream? Only a day after I posted about Andrea Riseborough joining the cast of August: Osage County, it appears that Chris Cooper is also in final negotiations to officially join the cast as Violet's brother-in-law Charlie Aiken. This was the character I had anticipated, considering it was either Charlie or Violet's husband Beverly, and the latter just didn't seem to fit. Forgive me, but the next few weeks of posts may become (even) more "Osage County-centric". I'm strongly considering purchasing the script of the play on Amazon, as it will hopefully provide solace for my brain as I impatiently wait for updates. After a weekend "up north" at my parents' cabin, I'm back home celebrating a Wimbledon win by my favorite tennis player Roger Federer and the announcement that English actress Andrea Riseborough is in final negotiations to star alongside Meryl in August: Osage County. I had never heard of Riseborough, but learned that she recently played Wallis Simpson in W.E. Considering my affinity for the history of the British monarchy, I now have a good excuse to force Joe to join me in checking out Riseborough in action (in addition to the fact that I'll be playing a new game with him the moment his crokinole board arrives in the mail Tuesday). Riseborough would play Karen, the youngest daughter in the Weston family. At 30, she's quite a bit younger than the character is written in the play (40), but I really don't think that matters much, as these days it's not particularly easy to detect actors' ages on-screen. Plus, they're probably just casting the entire film a little younger than the play. 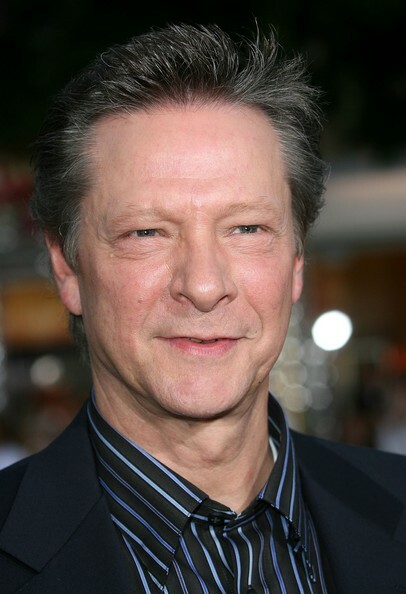 With the rumors of Chris Cooper's involvement swirling over the last week, we can likely expect regular updates with cast announcements over the next several weeks. After that comes filming in September, production stills, interviews, and then...the buzz. I kind of feel like I need to write a retraction from my June 2nd post regarding Meryl's cameo performances on Lisa Kudrow's Web Therapy. There are currently a bunch of articles that discuss season two premeiring on Showtime this week. Here I thought they were going to be new episodes, when it turns out that they're simply now airing the formerly online-only "webisodes" on Showtime with some newly filmed extended scenes to fill the half hour slot. From what I now understand, Meryl will not be in any new episodes. I happened to watch episode one last night and I thought to myself, "wait, I've seen this before." So, although Meryl's character Camilla Bowner (pronounced Bonner (hee hee)) is seen for the first time on actual TV, we Streepers know it's old news. Still worth a look!